You must have the followings requirements to be eligible for the Live-in Caregiver Program in Canada. • You must have successfully completed the equivalent of Canadian high school education. • You need to have worked for one year, including at least six months of continuous employment for the same employer. This work experience must be in a field or occupation specific to what you will do as a live-in caregiver. This experience must have been acquired within the three years immediately before the day on which you make an application for a work permit as a caregiver. To claim training, it must have been full-time training in a classroom setting. Areas of study could be early childhood education, geriatric care, pediatric nursing or first aid. • You must be able to speak, read and understand either English or French so that you can function on your own in your employer’s home. *** You must have a work permit before entering Canada. 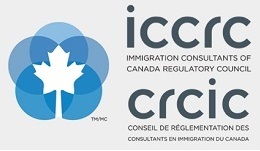 Contact us for more information about work permit.